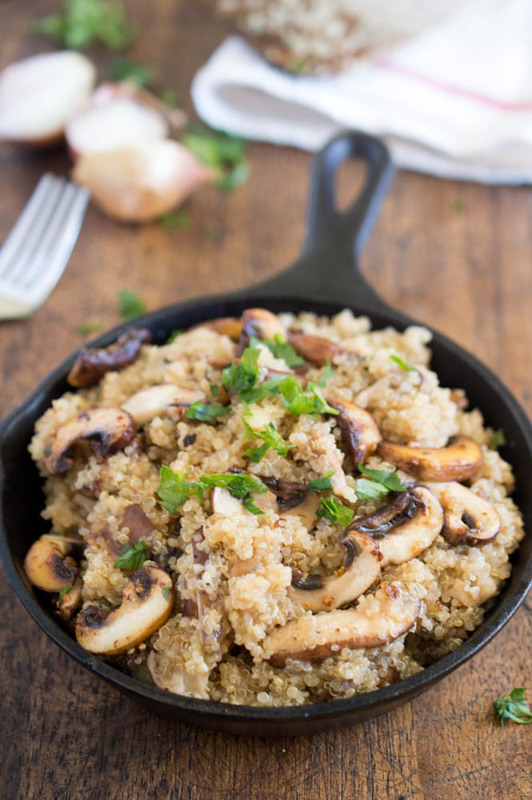 Mushroom Shallot Garlic Quinoa. An easy and healthy side dish. Ready in less than 30 minutes! I can’t get enough of mushrooms. They are earthy, full of flavor and rich. 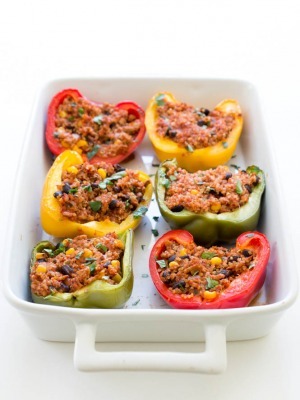 They are the perfect vegetable to accompany this easy quinoa. Quinoa is a healthy grain rich in protein and fiber. Just as easy to prepare as rice but comes with a lot more health benefits. 1 cup of quiona has 8 grams of protein! Quiona is a healthy alternative to brown rice or pasta. 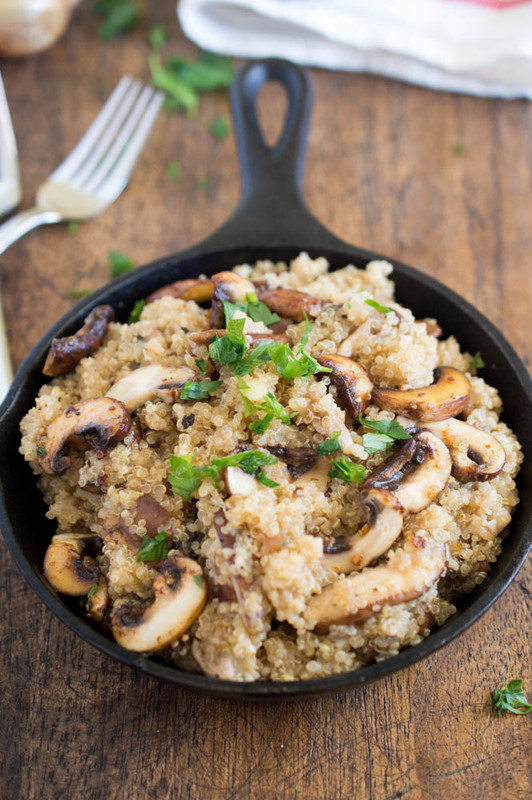 This mushroom quinoa is full of flavor thanks to the white wine, chicken stock and garlic. Shitake mushrooms, baby portobellos, and shallots are also added. 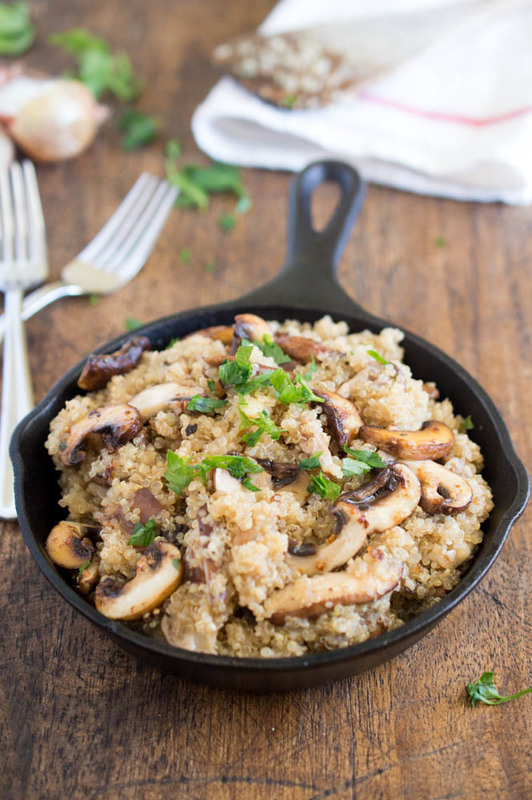 This Mushroom Shallot Garlic Quinoa is a perfect light and healthy side dish. This meal can easily been made vegetarian by substituting vegetable stock instead of chicken stock. It is important to rinse off the quiona before boiling. Quinoa can become bitter when it is not rinsed prior to cooking. To make this quick side dish start by boiling the quinoa in water and chicken broth. In a separate pan saute garlic and shallots. Add in mushrooms and saute until tender. Add in a splash of wine and deglaze the pan. When quinoa is finished cooking toss with the mushroom mixture and serve. I like to garnish with parsley and serve with Parmesan cheese. 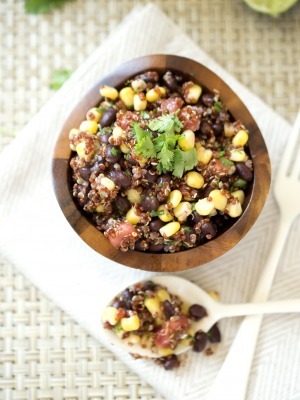 For another quick quinoa side dish try my Tomato and Black Bean Quinoa Salad. Rinse quinoa thoroughly and strain. Add quinoa, chicken broth and water to a medium saucepan. Bring to a boil and reduce to a simmer. Simmer until all of the liquid is absorbed, about 15 minutes. Meanwhile, add oil to a large skillet. Add shallots and saute for 2-3 minutes. Stir in both mushrooms and saute for 2 minutes. Pour in wine and deglaze the pan, 1-2 minutes. 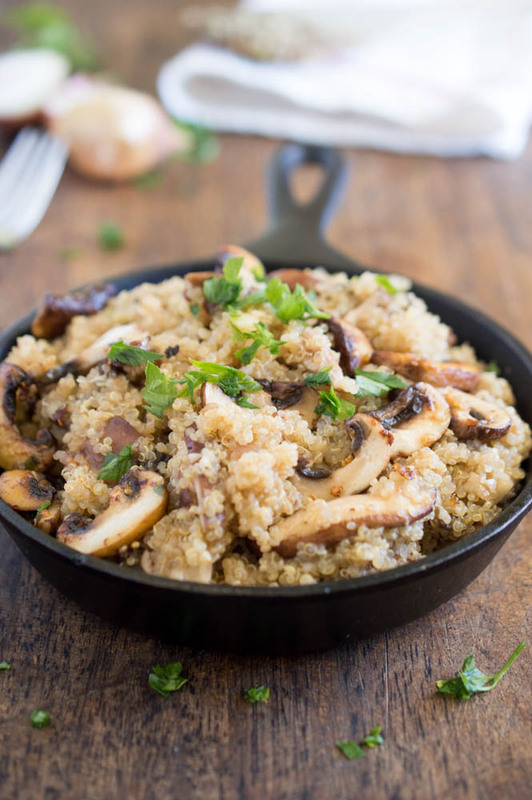 Combine cooked quinoa to the mushroom mixture and season with salt and pepper. Serve immediately with parsley if desired. I love shallots. There just add so much more flavour than onions do. This dish looks great! 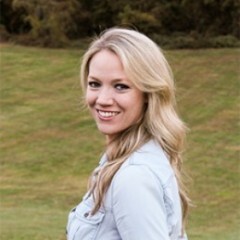 Thanks Natalie! Hope you enjoy. Wow! Four of my fave ingredients in one dish! Yum! This is a perfect vegetarian meal that I can make for myself and my vegetarian family. Thanks for sharing the delicious recipe! I could eat a big bowl of this right now! Pinned! I can never get enough of mushrooms either. I can eat them everyday. This looks like a superb dinner. I can’t wait to make it.